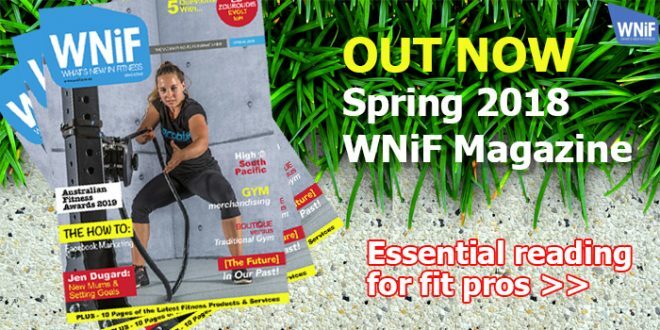 The new Spring 2018 Edition of the What’s New in Fitness magazine is the 20th Edition and continues to be a great resource for fitness professionals with relevant industry news, articles and resources to better inform you and your business. WNiF present fitness professionals with meaningful and useful content regardless of their capacity in the industry. The Spring 2018 Edition of the magazine really does have something for everyone! Fitness Boutiques are disrupting the industry like never before and traditional gyms are having to adapt to the changes that millennials and the younger generation are demanding. Connecting with a likeminded community, exible specialised services, bespoke programs and the latest technology are just a few of their ‘requirements’. WNiF are on the look out for facilities to feature in their Club or Studio Profile section for 2019 editions of the magazine. To submit your club/gym/centre/studio for consideration, email craig@wnif.com.au.